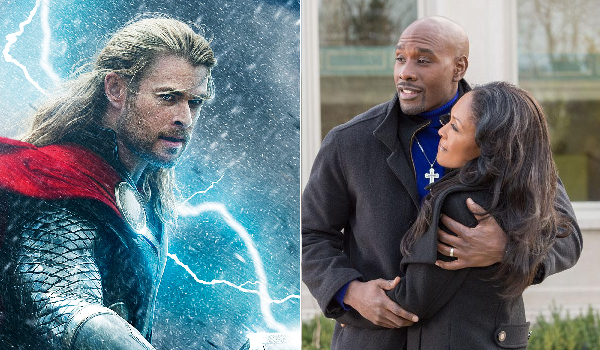 Sunday Update: This weekend's box office race between Disney's Thor: The Dark World and Universal's The Best Man Holiday ended up being closer than was widely anticipated, but Thor: The Dark World was still able to lead the way with an estimated $38.45 million. The Marvel superhero sequel starring Chris Hemsworth slid 55 percent from last weekend. 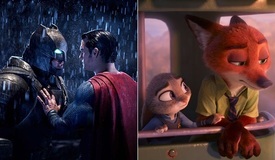 While that is a respectable second weekend decline for a superhero sequel, it isn't a great hold by any means either, especially with the film likely having received a bit of an extra boost this weekend from moviegoers who wanted to catch it before Lionsgate's The Hunger Games: Catching Fire enters the marketplace next weekend. In comparison, 2011's Thor fell 47 percent in its second weekend to gross $34.70 million, while last year's Skyfall fell 53.5 percent to take in $41.10 million. The Best Man Holiday exceeded expectations this weekend with a strong second place take of $30.6 million. 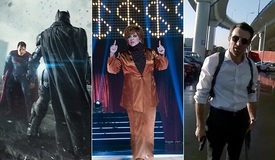 Expectations for the modestly budgeted ensemble comedy sequel had been rising in the days leading up to the film's release due in part to strong pre-sales. Playing in 2,024 locations; The Best Man Holiday earned a terrific per-location average of $15,115 for the frame. The Best Man Holiday opened just below the $33.64 million start of last year's Think Like a Man and blew past the $9.03 million debut of 1999's The Best Man (which stands at $14.37 million when adjusting for ticket price inflation). The Best Man Holiday has already nearly out-grossed the $34.10 million total domestic gross of The Best Man (which stands at $54.25 million when adjusting for inflation), as the fanbase of The Best Man has clearly increased in the years since its theatrical release. Saturday Update: Disney estimates that Thor: The Dark World took in a healthy $10.5 million on Friday, and BoxOffice projects a $37.5 million sophomore frame. That represents a mildly weak 56.5% drop from last weekend. The Dark World is outpacing 2011's Thor by a healthy margin at this point in the release cycle: Thor had $119.5 million in the bank after its second weekend. Universal estimates that The Best Man Holiday is set to take in a solid $31.1 million during its debut frame. 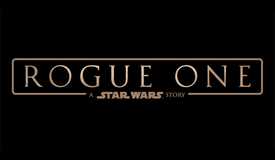 The sequel is already close to topping the $34 million domestic cume of its 1999 predecessor. The original Best Man's total would be $54.2 million when adjusting for inflation--The Best Man Holiday should easily trump that. Last Vegas is holding up incredibly well. The CBS Films release has positioned itself nicely among moviegoers aged 35+. It should continue to do solid business in the weeks to come. Elsewhere in the top 10, 12 Years A Slave fell only 27% as word of mouth continues to spread. The Fox Searchlight release still has plenty of life left in it. Friday Update: Sources tell BoxOffice that Thor: The Dark World will easily finish in first place during its sophomore frame. The sequel is set to take in more than $37 million this weekend. 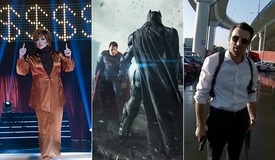 Adding $37 million will put The Dark World at a solid $145.5 million in North America after just two weekends. 2011's Thor made $34.5 million during its sophomore frame. This weekend is incredibly crucial for The Dark World, because the emergence of The Hunger Games: Catching Fire next week will distract attention away. Universal can celebrate the successful launch of The Best Man Holiday. The follow-up to 1999's The Best Man--a $34 million sleeper hit--could end up with $30 million during its debut frame. A gap of more than ten years is often toxic for most properties, but The Best Man Holiday has clearly dodged that bullet. 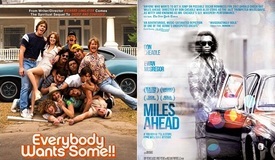 The strong debut could indicate that the comedy is breaking out beyond its core base of African-American moviegoers. (Demographic breakdowns will be available on Sunday.) The Best Man Holiday will represent a solid bit of counter-programming to Catching Fire, so we expect steady grosses over the next couple of weeks. Check back tomorrow morning for official studio estimates and updated weekend projections.